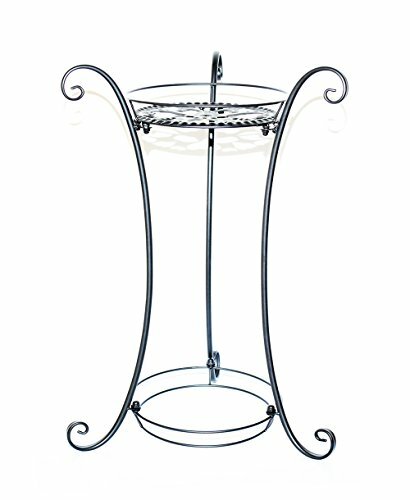 Plant Stand Size: 22.63″ X16.5″X 16.5″. diameter : 8.66″ round metal plant stand indoor which is a perfect size for corner plant pots, balcony flower pot stand, planter saucers or holders. Rustproof: The metal plant stand is made of powder coated iron so it can be used for both indoor and outdoor durably. Stability: The / iron plant stand / plant stands indoor / plant caddy designed with 3 supporting points which will make flower pot stand stably.